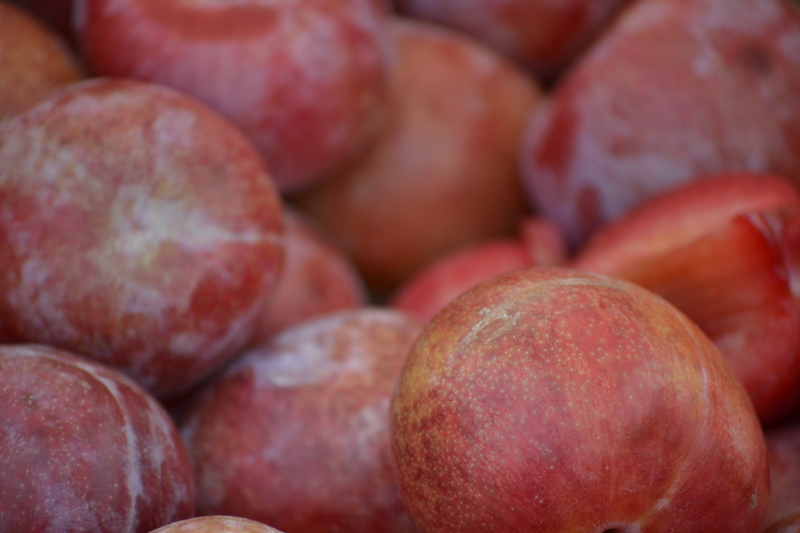 B) A cross between apricots and plums. C) A Stone Fruit; not the name of a certain disgraced and downgraded former planet in our solar system, despite what autocorrect keeps trying to do the word. D) Each and all of the above. E) As far as pluots are concerned, there is no wrong answer. 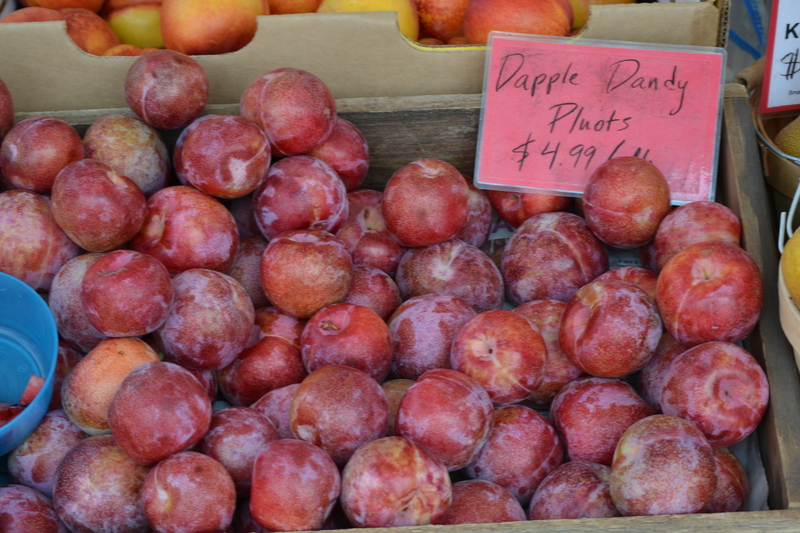 Area markets are at peak pluot right now (There’s a sentence you’ve never read before). This small stone fruit, a cousin to the peach, cherry, almond and the direct offspring of plum and apricot parentage, is a hard one to explain. The fruit resembles a plum, that somehow magically; possibly through the craft of the orchardist, has the flavor and sweetness of jam. Definitely, magical is that somehow it’s the apricot genes that make the flavor so spectacular. Nothing against apricots, but as good as they are, they’re not the fruit of memory. I’ve always been more partial to plums, because prunes (Which are awesome) (Yes, they are) and score extra points because of the fact plums are wonderfully distillable. The fact that I didn’t see the genius of improving plums by wedding them to apricots affirms that I’m no Luther Burbank, who experimented with the cross over a century ago. For all his foresight, Burbank had little luck pollinating a memorable cross. Which means Luther Burbank is no Floyd Zaiger, who in the 80’s, the 1980’s, was able to skew the parentage in flavor of the plum and create today’s pluot. Along with obtaining copyright protection for his new fruits, Zaiger was able to trademark pluot and the less catchy aprium. 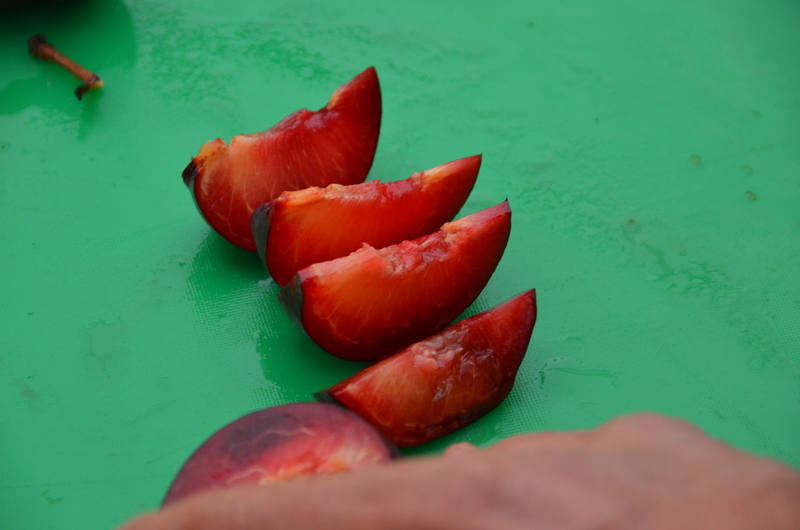 In less than 25 years, pluots have gone from an curiosity to about 25% of the plum harvest and with reason, they are little flavor bombs, combining the texture of firm fruit with a sweet, juicy filling. At peak ripeness, they’re a messy fruit; more than the taste sensation; it’s an eating experience. An alert shopper will be drawn to the scent, the color and possible the seemingly ostentatious names like Dinosaur Egg, Dapple Dandy, Flavor King and Flavor Supreme. As given as I am to hyperbole, Flavor Supreme is pretty accurate. Store at room temp until desired texture; like all members of the prunus family, pluots are climacteric fruit, meaning, among other things, the ripening process can be stalled by refrigeration. The joy of buying at the market is your friendly orchardist picks them ripe and can advise on what’s especially good.